After 20 years, veteran journalist Ric Romero has left KABC-TV. Romero most recently served as a consumer specialist. During his time at the station, he held many roles including Orange County bureau chief, sports anchor and weekend news anchor. In other news, Leslie Lopez is set to join the station on January 4, 2016 as a meteorologist. She currently serves as a weather anchor for KUSI-TV. 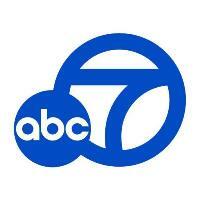 For more local news out of Los Angeles, follow KABC-TV on Twitter.